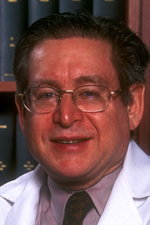 Kenneth M. Ludmerer, M.D., is the Mabel Dorn Reeder Distinguished Professor in the History of Medicine at Washington University School of Medicine in St. Louis, where he also is Professor of Medicine in the School of Medicine and Professor of History in the Faculty of Arts and Sciences. Dr. Ludmerer has been elected to the American Academy of Arts and Sciences, the Association of American Physicians, and the American Clinical and Climatological Association. He is a Master of the American College of Physicians and a Fellow of the American Association for the Advancement of Science. He is Past President of the American Association for the History of Medicine and the American Osler Society. He has served on the editorial boards of nine professional journals and has delivered named lectures at over 140 educational institutions or professional societies. He has received the William Welch Medal of the American Association for the History of Medicine (2004), the Abraham Flexner Award for Distinguished Service to Medical Education of the Association of American Medical Colleges (2003), and other honors.